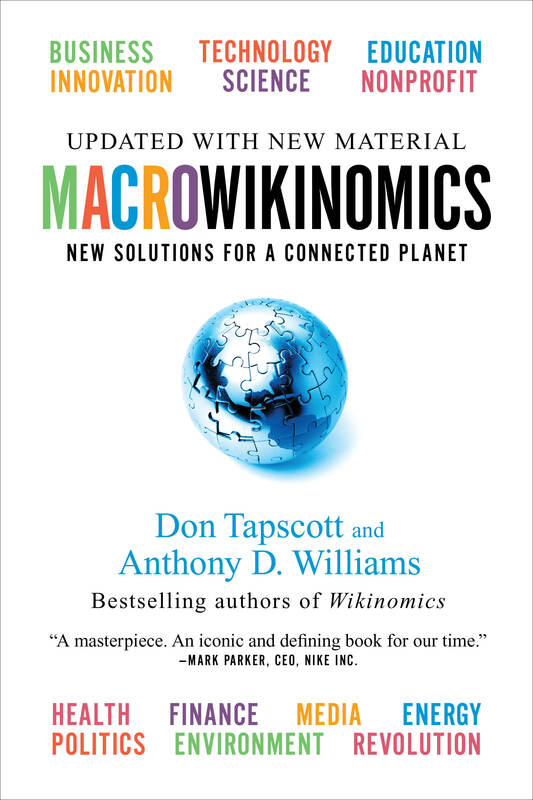 Wikinomics – Are Social Media Elitist? Several pieces I read recently, as well as a conversation with a friend, have me questioning whether the crowd around social media is elitist, whether I am elitist. The first piece that planted a seed of doubt about the universality of social media was “Understanding Users of Social Networks,” written by Sean Silverthorne in Harvard Business School Working Knowledge. Silverthorne discussed research by Harvard Business School professor Mikolaj Jan Piskorski on how men and women use social networks differently and how Twitter use is different from either Facebook or MySpace use. What really stuck with me was his analysis of the differences in the populations of Facebook and MySpace, specifically their geographic bases. Pikorski’s analysis of a dataset of 100,000 MySpace users shows that they live mostly in smaller cities and communities in the south and central parts of the country, including “Alabama, Arkansas, West Virginia, Oklahoma, Kentucky, Florida. . . not anywhere near the media hubs (except Atlanta) and far away from those elite opinion-makers in coastal urban areas.” It still boasts some 70 million members, so my conclusion is that claims that MySpace is “dead,” it seems, may be coming mostly from the media hubs where Facebook rules. Finally, a conversation with my friend, who’s deep into and fluent in social media and Enterprise 2.0, got into who’s left out of social media and Enterprise 2.0 – actually, I guess I am talking about Life 2.0. Do the most interested parties, who know the most about and are most invested in Life 2.0 include a broad social strata of the U.S.? My sense – I lack any data so this entire post may be dismissed – is no, they do not. (Developing such data might be an interesting research project, IMO; if anyone knows of such research, please point me to it.) My belief is that they should. This is a valuable point. I think one of the interesting aspects of using social media (or analyzing its use) is the patterns that emerge about how people actually behave. In an enterprise setting, part of the value of using social media tools is to highlight the informal organizational networks that already exist. By digitizing employee interactions you can identify inequalities and information asymmetries and then target them. Social media alone does not resolve interpersonal conflict, elitism, cliques, or information silos, but it does help to cast a light on problem areas. Obviously the technology will reflect on the people who use it, along with the corruption, evil and inequality that goes with mankind. However, the whole story, and the true transformational qualities of social media do not necessarily show up on a grpah. I find the real beauty of social media, and its transformational value, lies in individual stories. For the first time in human history, mankind has access to free, global, instantaneous communications. There are a lot of wonderful connections happening, new friendships, business contacts, support and love. I have built my business almost entirely through social media connections, discovered many new friends around the world who now love and support me, and found the woman I married there too. These relationships never could have occurred without the technology, and they will never show up in a Harvard research study. How do you plot “transformational” on a graph? Very nice text. Nice summary and references. In my opinion technologies don’t have an intrinsic power to shape society. It’s in the USE of technologies that lays the possibility of eventually shapping society. What he said, Mark Schaefer. @markwschaefer. Hey, I’m @ITSinsider. Let’s connect. Mark, I agree. The power does lie in the individual stories but also lies in the collective connections. Your experience has been exceptional, that’s for sure. “Transformational” probably can be quantified, if you ask the right questions. I have no doubt social media have already been transformational. But who is not part of the transformation? It’s all well and good for me to be transformed, that’s very nice – for me. What more can be done? Who else can be connected? Whose value is not being tapped? Whose lives are not being changed? I am not focusing on the negative here, at least I don’t feel like I am. I am interested in the reality that not everyone is participating. I feel like an elitist, speaking about things that are really only of interest to a small segment of the population. That’s not bad, in itself; it’s just not enough. This a perfect question for our discussion area in a collaborative learning group focused on best practices and learning about engagement in virtual collaboration. Elitist is the wrong word for me, because it implies an attitude of active exclusion. I think it is worth noting that not everyone has access to the internet or understands how to use social media. But as for being elitist no more than any other communications media or group. Probably less than many because it is actively inclusive. Given the numbers not connected properly, there’s continuous digital divide. Elitist self-hate is arrogant, condescending and self-destructive. From the Internet to online gaming, from MySpace to Facebook (yes, really! ), to writing clubs to art forums–the intermixing that goes on is absolutely unbelievable. Do you have any idea what “helping” someone from a position of self-hate and guilt *does to that person*? Any idea at all? Stop being so self-centered. This isn’t about you. Including people is human nature when all participants feel safe. And the Internet tends to make people feel safe as part of its nature. I tried to post a comment on upper-class Southern self-hatred. I see it wasn’t approved. My point stands; I’m sick and tired of the privileged class constantly self-destructing, infecting the rest of us with the self-destruction then wondering why things don’t get better.